Intelsat, Ltd. has signed a multi-year contract for satellite capacity with Altitude Sports & Entertainment (Altitude) to distribute its regional sports programming to viewers across the United States in SD + HD. 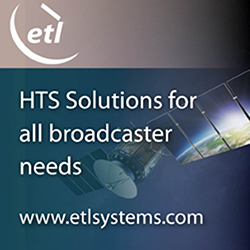 Using capacity on Intelsat’s Galaxy 17 (G-17) satellite, located at 91 degrees W, Altitude will broadcast regional hockey, basketball, lacrosse and soccer to millions of sports fans. G-17 is the premier sports neighborhood within Intelsat’s valuable Galaxy fleet, with marquee sports programming including the MLB Network, Versus, Speed, Fuel, FOX Sports, and the Big Ten Network, among others, transmitted to cable headends throughout North America. Altitude is among the most watched regional sports networks in the 10-state Rocky Mountain Region. It is the official broadcaster of the Colorado Avalanche (NHL), Denver Nuggets (NBA), Colorado Mammoth (National Lacrosse League) and Colorado Rapids (MLS). Many college sports in the Big 12, Big Sky and Big East conferences are also carried on the network. In addition, Altitude offers music and theatrical programming, as well as boxing, rodeo, auto racing, golf, skiing and extreme sports.